A mother recently asked me this question about her child who would not talk to his baby sitter after having been told that she would be leaving. Another mom asked this about her son refusing to leave school with her when she picked him up, although he had cried when she left him in the morning. The question often comes up when a child’s behavior doesn’t fit a mother’s picture of what is appropriate, or creates a problem for mom. What does “normal” really mean? Sometimes mothers mean, “Is this typical of all children?” Another meaning can be, “Is it natural for a child to do this?” The implication is that if it is “typical”, or “natural”, the behavior is o.k. If it is not, then something is wrong with the behavior and possibly with the child who is behaving this way. The behavior then becomes a symptom of a deeper “problem”. But is this really true? In fact, normal does not mean good or bad. It means in the nature of things. It may be in the nature of a young child to want his own way, to get angry about things expected of him, even to have a tantrum when frustrated. But that doesn’t mean the behavior is acceptable, or is not something the child may need help mastering. 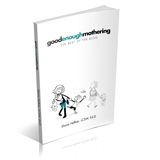 Too often mothers think that if difficult behavior is normal there is nothing they can, or should do about it. The problem is that children express their feelings and wishes in behavior, and some behavior can be provocative and makes parents angry. Many times we react to such behavior with an urge to punish children in an attempt to stop the behavior. But the idea that the behavior is normal seems to lead to the feeling that maybe parents are supposed to just accept the behavior they don’t like. Mothers, at times, feel guilty if they punish behavior that is “normal”. This is where the worry about “doing the wrong thing” comes into play. They are afraid that punishment, or their own anger, might damage their children in some way. Mothers have often expressed to me the fear that some day a child would be talking “on the couch” about something they did to him in anger. These feelings can lead a mother to the conclusion that there is nothing she can do. But the fact is, behavior that upsets parents is also behavior that can tell us what our children are trying to say to us. For young children, behavior is their primarymeans of communicating their feelings. Even when we don’t like the behavior, understanding what a child is saying is the path to knowing what to do about it. Hopefully, we will eventually be able to help him tell us about it in a better way. But first we have to understand what it means. Understanding behavior does not mean there is no need or no way to respond to it. Part of our responsibility as parents is to teach our children that some behavior is not acceptable. (More later about ways to do that.) But the first point is that thinking about whether behavior is normal or not is not helpful. The child who is refusing to look at his baby sitter is simply expressing his anger at her for leaving. The child who refuses to leave school with his mom may be telling her that since she left him, he is now leaving her. In understanding that, the first mom will be less worried about the behavior and able to sympathize with her child about his feeling of anger at the loss. For the second mom, understanding her son’s behavior may lessen her feeling of rejection – and perhaps, also, any feeling of anger about being rejected. Letting children know that you understand their feelings, even if you don’t like their behavior, is often a first step in helping them change. Of course, some behavior is more challenging to understand and respond to than others. To be continued……….. Author Elaine HeffnerPosted on October 4, 2010 Categories Mother WorriesLeave a comment on Is This Normal?